sailboat. : This week #11 - Meerkats, Recommend me a Book & A Question. This week #11 - Meerkats, Recommend me a Book & A Question. This week has been one of those nothing-really-happened weeks. Sometimes I wish I had the kind of life where traveling the world and hitting up lots of fun parties was the norm. But mostly I'm comfortable with things exactly how they are. I think we all need some time to, well, not do very much at all. That was this week for me. I was lucky enough to win Rachel's giveaway and I was so so excited when a parcel with lots of goodies from all the way from across the world fell through my letterbox at the beginning of last week. I adore this make up bag so much and I've already stuffed it full of my everyday essentials. 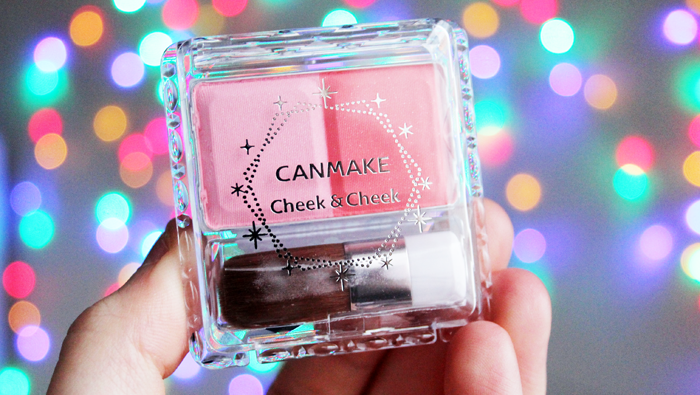 I'm really looking forward to trying out the blush from Canmake, the colours look stunning and they're exactly the kind of shades I love to wear. 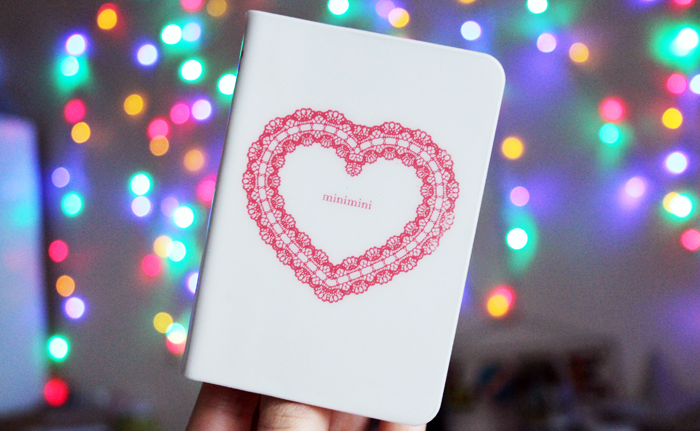 And this little notebook has already been adopted as a place for me to write down all things blog related, it's the perfect size for always having close by. There were so many other lovely things inside that I'm also really excited for - thank you so much, Rachel! We had to buy home insurance (boring!) but to make it a little more fun we compared the meerkat and a few weeks later little Oleg arrived on our doorstep. Seriously, cutest freakin' thing ever! I think all boring purchases should come with something as cute as this! This wouldn't usually be my kind of song, but it's so catchy I've been singing it all week and I'm not tired of it yet. It was officially released at midnight and Sam seems like such a nice guy that it's nice to see him doing so well. For the rest of the weekend I'm going to catch up with some of the the Winter Olympics (I'm in awe of all people who can do amazing things on slippery snow when I can barely stand on solid ground!) and start a new book. 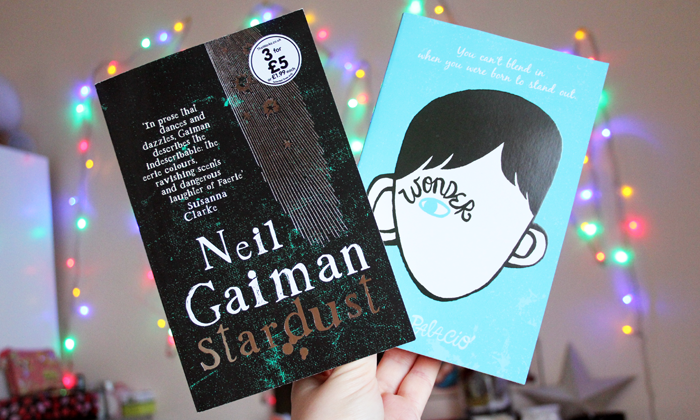 I'm torn between Stardust by Neil Gaiman and Wonder by R. J. Palacio. Have you read either? Which would you recommend? As a little thank you to you for always being so lovely I'm planning a little make up & beauty giveaway. Would you prefer to win a few pretty things from the drugstore or one higher end product? I'm not sure which to go for! sounds like the perfect week to me and congratulations for getting your university assignment finished on time! I also won a give away from a drugstore in Germany this week, which I had totally forgotten about and was gifted with some nice bath salts & oils and a jumping rope. awww the baby meerkat is adorable, damn I wish my insurance was due lol. oooh do let me know about them books as my aim is to read more this year, just recharged my kindle, i have a big habut of buying books but not reading them. One book I recommend to you in The Princess Bride by William Goldman (have you seen the film?) its amazing, such a fairy tale with proncesses, giants, sword fighting but its sooo good, and exactly like the film, great read honest. *your prize are amazing! I never win giveaways. someday..
*I haven't read any of the books, but I heard a lot about them, so maybe you'll say what you think once you read them!? I would love a few little things in a giveaway - ps how cute is oleg??! That Meerkat is so adorable. Makes buying Insurance a little more bearable. What a sweet post. I, too, enjoy a good relaxing week without much of an agenda - they can be so nice! I haven't read either of those books but I must check them out - they both sound quite good! I haven't read either book but I've heard amazing things about Wonder - its defintiely on my TBR for this year! I'd love to hear what you think of it. What lovely prizes you got! Now I want a meerkat too, although I wouldn't know where to get it here in Portugal. The makeup bag and notebook are so, so sweet looking! And Oleg is cuuuute :) I've read Stardust, I have to say it's one of the only times I can say that I preferred the film to the book! That baby meerkat is the cutest! I am a big Gaiman fan, so I would definitely go for Stardust. It's one of my favourites of his! ahhhhh! seeing everything in your hands all the way across the world is so so exciting :) i'm so glad everything arrived in one piece and that you're enjoying the makeup bag. i can't wait to hear what you think of everything, especially the blush which I think will look great on you. Oleg is adorable, i've never heard of it but i love his jammies! Oooh I would read Wonder! I loved that book! Home insurance comparison is such a drag! Glad you got something cute to show for it! I definitely agree about needing to take the time to just relax and not have to do anything. It's so easy to get wrapped up in the craziness of schedules, to-do lists, and assignments (so happy to hear you finished yours by the way). Taking the time to enjoy the little things like your awesome new bag are wonderful ways to wind down after a busy week. That make up bag is really pretty! And that meerkat is just too cute, haha! :) I've read Stardust but I'm not sure if I would recommend it. I liked it but I didn't think it was amazing! I hope you enjoy it though! Hi sweet! 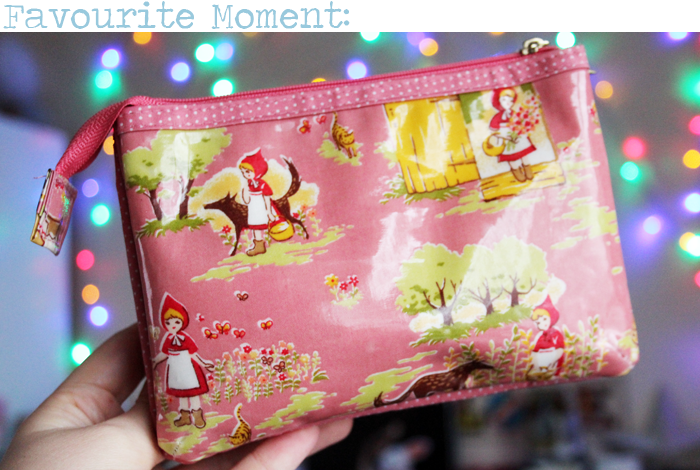 This makeup bag is adorable! !and also the little Oleg!! !<3 i would probably prefer a few things from the drugstore..thank youuu!!! oh <3 these stuff are so adorable <3 i wish i had some of these, actually! Can you believe I haven't read anything by Neil Gaiman yet? I've heard nothing but good things about how books and his writing. My baby Oleg is on his way, curtsey on my kittys pet insurance! I've read wonder eye and I loved every second, I completely and definitely recommend it! Oh gosh the make-up bag is so incredibly sweet! Congratulations on finishing your assignment, hope this week is less stressful and more enjoyable for you, it's the least you deserve! <3 Can definitely relate to quiet weeks where not much happens, a lot of the time I go to work then spend evenings at home, tired and wondering if there is a world out there! But I agree sometimes it's necessary for this to happen, and sometimes can't be helped. I'd definitely read Wonder, it's a beautiful book. Honestly I think it should be compulsory reading in schools. Quite possibly the best book I've read this year. Although I haven't read Stardust. I must get around to some Neil Gaiman soon. Hope you enjoy whichever one you choose. I can't believe they are still giving away meerkats, but that little baby one is so cute! Stardust is one of my favourite books I have ever read <3 Congrats on the giveaway. I need to sort out home insurance soon too. Boring. I haven't read Stardust but Wonder is such a good book!